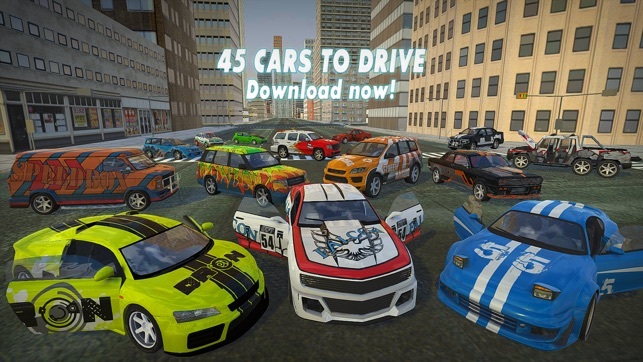 Car Driving Simulator 2018 is the latest game from Mobimi Games that offers 45 UNLOCKED cars available to drive, drift or race 8 different locations: 3 open world cities, docks area, highway or desert. 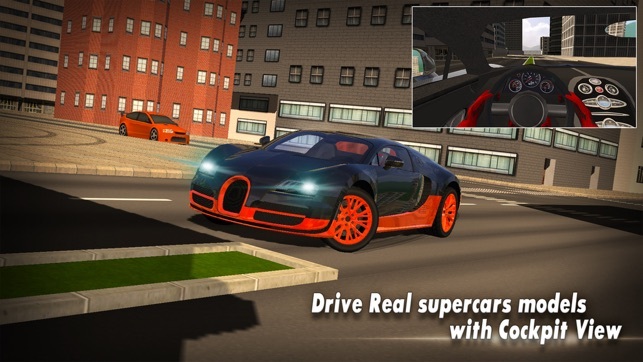 This is the best car driving simulator 2018 game with realistic physics engine. Try different driving modes, for each of the cars, such as simulator, racing, arcade, drift or fun drive mode.You can turn on or off the ABS (Anti-lock Braking System), ESP (Electronic Stability Program), TCS (Traction Control System) and SH (Steering Helper). You can also adjust the Maximum Torque, Maximum Speed and Maximum Brake force in order to make each vehicle a super fast car! Choose the traction type that you like: front wheel drive (FWD), rear wheel drive (RWD) or all-wheel-drive (AWD) and take the cars off-road for an excitement ride. 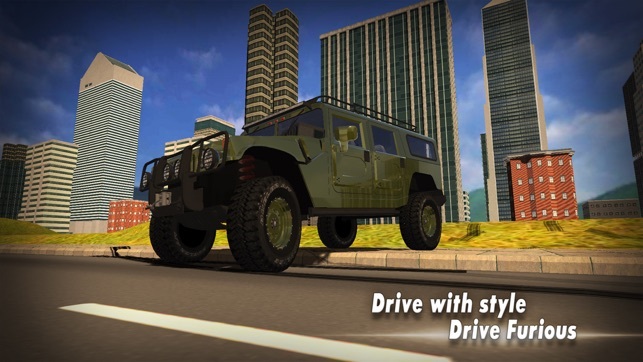 Off-road cars and pickups for driving on hills and to simulate 4x4 traction are available. 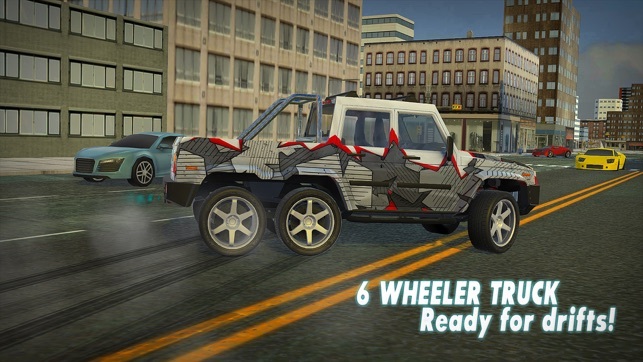 You can even drive/drift with a 6 wheeler truck! Open the doors, hood and truck on some of the cars an change their appearance by applying new skins in the garage. Drive in the city by day or by night. Choose from 8 cool locations! Fun game. I enjoy the realism of this game. 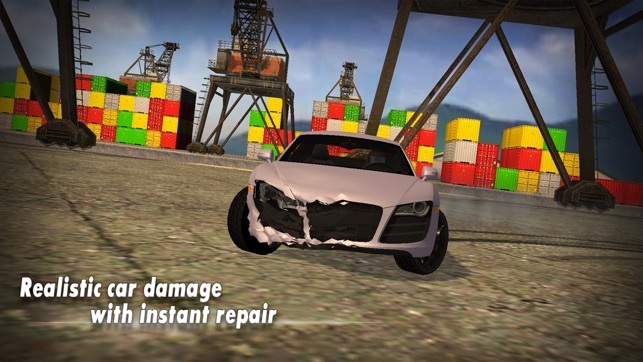 I also like the ability to inspect damage. I really like the “movie” aspect of one of the view modes you can operate the car in. However, a few things. 1. I would like to see the ability of the primary vehicles to roll over easier. 2. The secondary cars go too slow. 3. No apparent damage to the secondary cars after hitting them. 4. Allow secondary cars to run on the other courses beside the city courses. 5. If the lights are on and the ends of the car gets smashed, it is unrealistic for the lights to remain lit. 6. After rolling primary vehicles, little to no damage seen to roof or sides of cabin. This game is really fun, while there are some things I would change. One thing is, you are limited for speed and control sometimes. It does this thing sometimes when it starts drifting in a way when I don’t do anything, and slows me down so I can’t move and I have to restart. There are some really good things as well. You can get any car that you want without spending any money or having to get anything! No real money or in-game money either! I like this game though. While the graphics could be changed.